A Raspberry Pi can easily be powered with any USB charger delivering 5V @ 1A as a minimum , you will find that most smartphone and tablet chargers will meet this spec. There are also dedicated power supplies and chargers – the important thing to remember that you nee to have a male USB Micro-B going to your Pi. 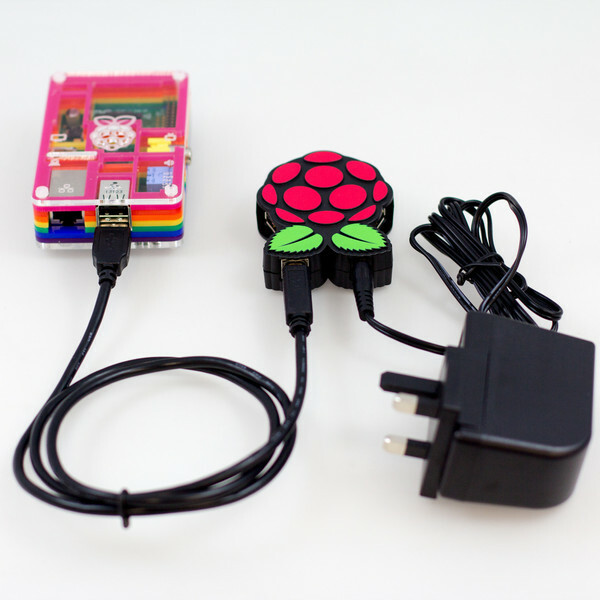 It is also recommended that you have a powered USB hub to connect extra peripherals, my favourite is the RPiHub available from Pimoroni , this is a combined power supply and USB hub cutting down on ‘spaghetti cable mess’.